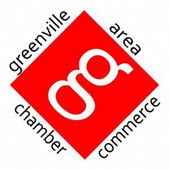 Creenville Chiropractic Plus - Website of greenvillebusinessnetwork! Chiropractic Plus In Greenville, MI is the area’s largest holistic health care center. From complete chiropractic care to hypnotherapy, Aaron L. Rackham, D.C. can help you alleviate a variety aliments. Visit our new location in Brad’s Cleaners Complex. Contact Chiropractic Plus In Greenville today at 616-754-7717 for all of your Greenville, MI chiropractic needs.